Kasargod, June 16, 2015: Two elderly persons died after they were hit by a train at Chembarika on Monday. June 15.The deceased has been identified as Abduk Khader (70) and Abdulla (58), both were residents of Kozhipady, Kumble. Sources say that both were close friends and were missing since they left home on Monday morning. The family members of both enquired and learnt that the duo met in a train accident at Chemarika. Their bodies were taken to the Kasargod general hospital for the autopsy. 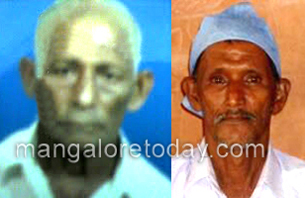 Abdulla was a coolie worker in Kozhipady and Abdul Khader was a fisherman. The bodies were handed over to their family after autopsy.